Today Riptide GP splashes down on the BlackBerry World app store for BlackBerry 10. Last week we released Beach Buggy Blitz for BB10, and it's already become one of the most popular and highest-rated games in the BlackBerry World store. We've been working closely with the team at BlackBerry to ensure that we squeeze every ounce of juice out of their powerful new BB10-based devices, and we're excited to be part of this new step in the BlackBerry legacy! In addition to performance enhancements, our BlackBerry games also feature full Scoreloop integration, with support for Achievements, Leaderboards, and cloud storage. 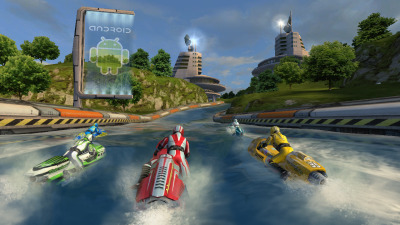 You can find Riptide GP for BlackBerry here. And Beach Buggy Blitz for BlackBerry here. ... and keep and eye out for Shine Runner, due in a few short weeks!